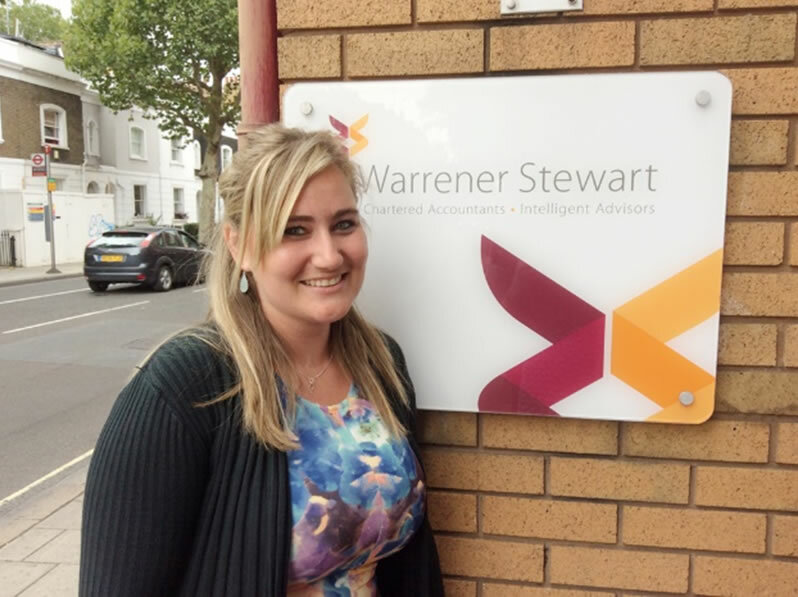 South African born Jess Gibbons has joined the busy audit and accounts department at Warrener Stewart as an assistant accounts manager. Jess is a qualified SAIPA accountant having studied a Bachelor of Accounting Sciences at the University of South Africa. Upon completing her articles at the end of 2017, she decided to take time off travelling before moving to the UK to join other family members. Whilst new to UK tax system, Jess studied and worked with International Financial Reporting Standards, most of which are also applicable in the UK. Jess brings with her a wealth of accounting knowledge following the work she carried out with small to medium sized businesses whilst in Johannesburg. To augment her South African qualifications, she plans to study to become an ACCA approved accountant. As advisors to many business owners based near their offices in Fulham, Warrener Stewart has seen a high demand for their tax services, especially for advice on US tax. Due to the complex US tax laws, anyone with a US tax responsibility needs to adhere to the US tax deadlines. Over the past three years Warrener Stewart has grown their US tax department so they can offer one to one advice from qualified US tax specialists. The latest recruits to the ever-growing US tax department include, pictured left to right; Adrian Harvey, Danielle Byron and Elliot McGahan. Upon graduating from National University of Ireland, in Galway, Danielle Byron spent four years working in the US as an accountant. Since returning to the UK she has continued working in US taxation. At the time of joining Warrener Stewart Danielle is working towards becoming an Enrolled Agent, as well as completing her ACCA exams. Whilst at university in Leeds, studying Law, Elliot McGahan decided to pursue a career in tax having researched and written his dissertation on VAT evasion. Since joining the US tax team at Warrener Stewart he too is studying for the Enrolled Agent qualification. Once qualified as an EA, Elliot also want to work towards his UK tax qualifications by following the ATT and CTA pathway. Like Elliott and Danielle, Adrian is also studying for his tax qualifications having joined Warrener Stewart on their tax training scheme. An Economics graduate from Royal Holloway University, Adrian initially embarked on a career in tax within Expatriate taxation. Following his move to Warrener Stewart, he is looking forward to enhancing his understanding and expertise of the complex and ever-changing world of taxation by studying to become an Enrolled Agent in the future. On 22 December 2017, President Trump signed into law major tax changes that will affect almost all US citizens that own an interest in a UK company. Repatriation tax of between 15.5%-18% of Earnings & Profits generated between 1986 and 31 December 2017 not distributed by the company as a one-off tax based on 31 December 2017 accounts and the shareholder’s actual rate of tax. The repatriation tax is a tax on the shareholder, and therefore for individuals owning shares in a UK company it is a personal tax on the US citizen and not a corporate responsibility. Removal of eligibility for receiving a qualified dividend which is taxed at low tax rates from 31 December 2017. The first repatriation tax instalment is due on 15 June 2018 and then on 15 April thereafter. The changes to the qualified dividend rules will likely result in an increased US liability for US Citizens. US shareholders will need to change their profit extraction policy in 2018 and beyond. There is no standard solution, every US individual will need bespoke advice and change the way in which they extract profits from their UK companies. There has been a huge out cry from the expat tax community regarding both the business and legality of the new rules. It is entirely possible that there will be future changes and interpretations that will occur. However, we need to assume the legislation is here to stay. We suspect some US individuals will need to take extreme measures such as expatriating from the US or closing and re-opening companies but for most US Individuals these extreme measures may not be necessary. Please do contact our specialist US tax advisors if you would like our help in coming to terms with the changes, call us on 020 7731 6163.